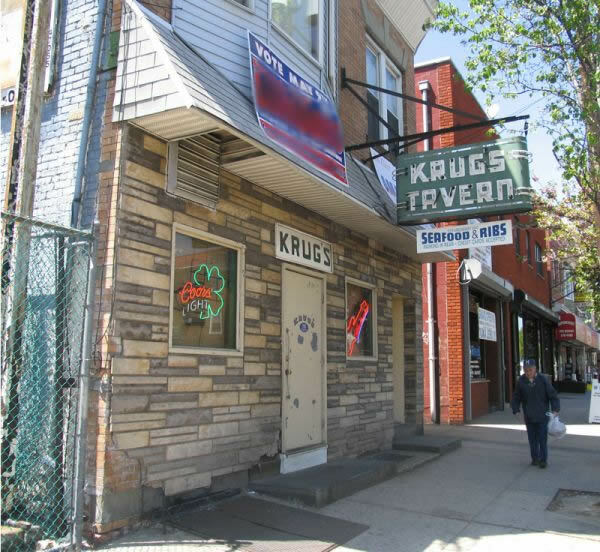 Krug's Tavern is a family owned and operated business in Newark, New Jersey since March 1932. The tavern was founded by Frank and Laura Krug and has remained in the same location now being run by the fourth generation. Christina, Gary, Jr., and Joyce. Frank and Susan have 3 children Gina, Frank, and Anthony. The great grandchildren of Frank and Laura are active in the business. Anyone that visits Krug’s is sure to find Joyce on the grill, Christina bartending, Gary being a host and Frankie on the weekend – they are continuing the family tradition and making the family proud. Krug’s Tavern is a neighborhood business that has withstood the years and changing of times in Newark. Proud to say employees have always been Newark resident’s and take pride in being part of a tradition of generations of Down Neck families. Krug’s has always been known for their homemade marinara sauce for shrimp and calamari but lately, it is well known our “burgers” it was written up by the Munch Mobile in 2010 and voted best burger in Northern New Jersey in 2011 & 2015.